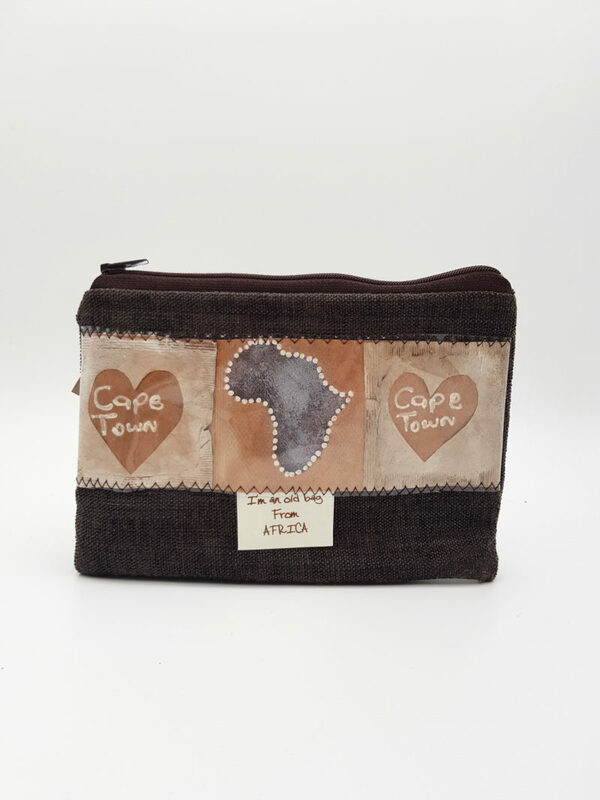 Lucy sews the make-up bags out of heart painted T-Bags, plastic and velvet. The bag can be closed with a zip. The measurement is 18cm x 12cm.